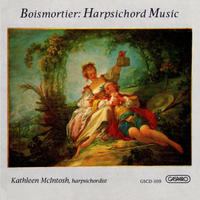 Kathleen McIntosh: Delicious harpsichord rarities. 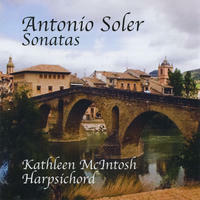 "This is probably the finest recording of selected sonatas of Soler that I have heard; indeed, I find it even more satisfying than the fine performances on a modern piano by the esteemed Alicia de Larrocha." "The playing is fresh and insightful, eager and probing; its artistic skies are sunny with discovery... The French Overture proceeds with perfect poise... while the Fantasy and Fugue in A minor is like listening to McIntosh build a palace of sound...Highly recommended." 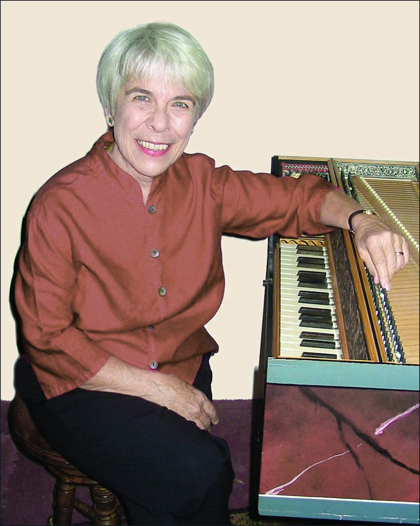 Harpsichordist Kathleen McIntosh has traveled widely, performing with such groups as the Chamber Orchestra Kremlin in Moscow, the Vietnam National Symphony in Hanoi and the New American chamber orchestra in Spain. She has played in the Santa Fe Chamber Festival since 1996 and in the Bravo!Vail Valley Festival since 1999. She appears frequently with chamber groups, chamber orchestras and as a soloist throughout the western United States. A resident of Santa Fe, she performs with Serenata de Santa Fe, Santa Fe Pro Musica and many other New Mexico based groups. She has been a featured artist in the Esteban Salas Festival in Havana, the Festival de Musica Antigua in Lima, the International All Round Music Festival in Tsuyama and the Deya' Festival in Mallorca. An enthusiastic proponent of contemporary music, she is half of the Sports football betting appMcFish Duo, which commissions new works for viola and harpsichord. With her partner, Marlow Fisher, McFish has premiered works by Anna Rubin, Glen Roven, Will Averitt, John Steinmetz, Arni Egilsson, Beth Anderson and Nicholas Chase. 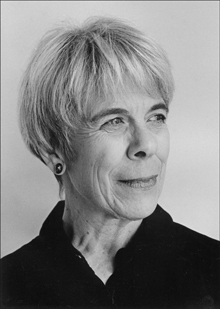 Other works, such as the Melinda Wagner' "Concertino for harpsichord and strings" and Alex Shapiro's "Slip" were written expressly for her. 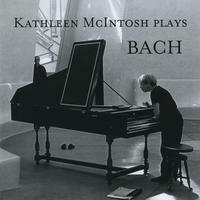 The Los Angeles Reader wrote of her performance of J.S.Bach's "Goldberg Variations" that "her nearly flawless technique" and "understated eloquence...produced revelatory results." Of her recording of the complete keyboard works of Boismortier, Continuo magazine said "A breathtakingly beautiful performance." Ms. McIntosh performs on instruments by John Phillips. Kathleen McIntosh lives in New Mexico, USA. 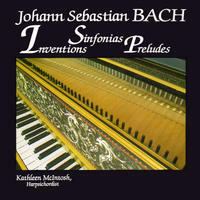 Tagged as: Classical, Baroque, Instrumental, Composer: Johann Sebastian Bach, Harpsichord.